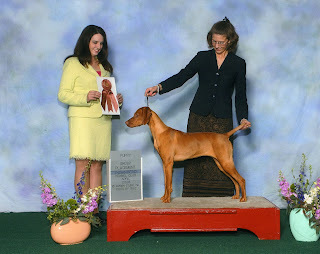 Labels: CH JNEK's How Sweet It Is aka "PAYTON" Puppy Group 2-Payton finished her championship from the puppy classes. Also earning a spot to compete at the AKC Eukanuba Invitational in Long Beach this year. CH Skipfire's Mountain Milo "Milo"
Happy St. Pats Day- 3 Days Old! CH JNEK's Shooting The Breeze "BRIA"